Ellie Goulding has performed a cover of fun. 's 'Some Nights'. The singer performed the US band's hit in support of her new single 'Anything Could Happen', which is available to download now. Goulding played the track during her Radio 1 Live Lounge session at Maida Vale studios this morning (October 2). The star's second studio album Halcyon will be released in the UK on October 8 and a day later in the US. The collection will feature 12 songs including new cut 'Explosions', which was released to iTunes yesterday (October 1). 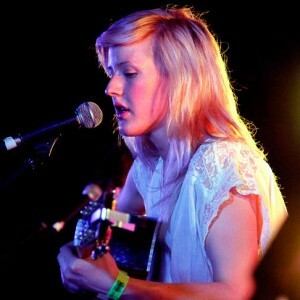 Meanwhile, Goulding recently admitted that she was worried about her ex-boyfriend Greg James's reaction to her new album.